Here is the Wikipedia link ( http://en.wikipedia.org/wiki/U.S._Route_491 ), detailing some of the history of the “Devil’s Hiway”. I’m no expert on the road by any means, so I’ll have to take most of that at face value. 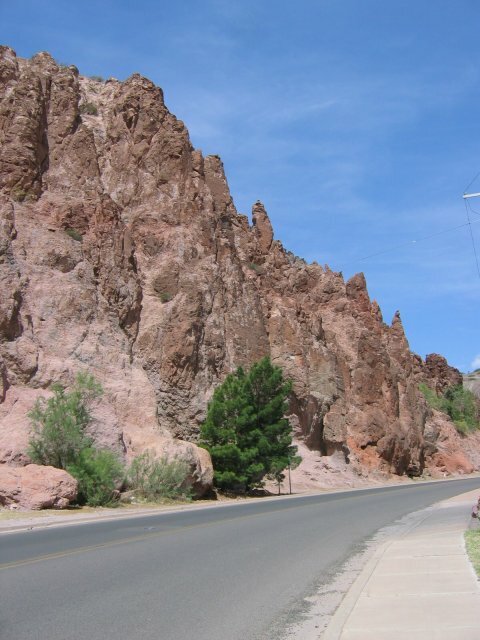 What I do know, however, is the portion of US 191 known to me as the Devil’s Hiway is one of the most fun, interesting and beautiful drives I’ve ever made on a motorcycle in my now 400K+ miles of experience on two wheels. 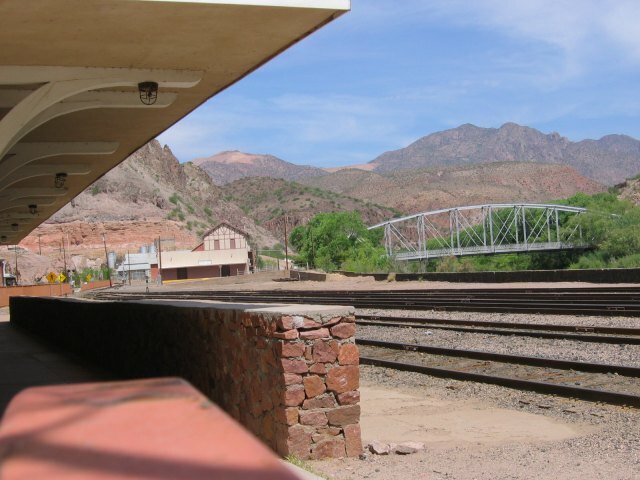 In my two trips across the most noteworthy stretch of 191 (from Morenci to Alpine, Arizona), I have traveled it once from south to north and vice-versa. 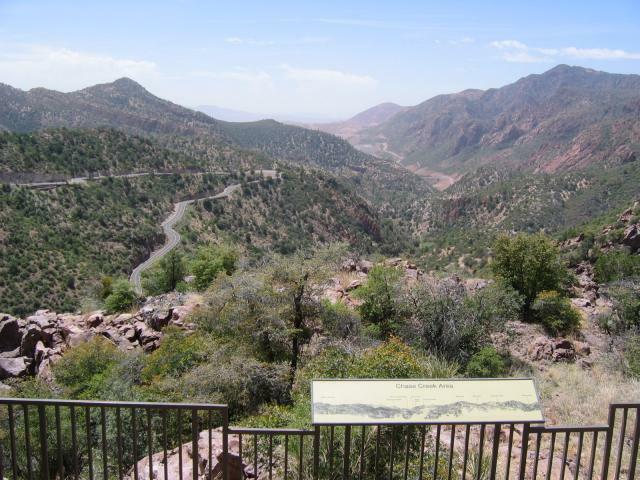 Going either direction makes for a great ride through the mountains and the copper mine at Morenci. The road has a little bit of everything for everyone. There are tight switch-backs, hairpin curves and giant sweepers with grand vistas constantly coming into view. It really is a tough decision to make on whether to ride hard testing your technical skills in handling so much variation in elevations, decreasing radius turns and tight corners or to take a more laid-back approach stopping to smell the roses along the way. On both of my ventures here, I chose to do a little of both. There times when my riding buddy and I would wick it up a bit, pushing the bikes pretty hard, but not quite scraping pegs. Other times the phenomenal scenes in front of us demanded we slow down to soak it all in. Many of those demanding scenes were well worth stopping multiple times for shooting lots of pictures. There were also times when we felt compelled to shoot a few hero shots where one of us would ride a few miles ahead, locate a place that looked like a good place to get pictures of the other leaning hard through a curve or two. It just doesn’t get much better than that if you enjoy motorcycling and photography. The pavement and road conditions on both of my trips there were outstanding. Of course there are the typical hazards to watch for just as with any mountain road. Based on the time of year you are there you may encounter; shady spots with water or ice, fallen leaves that can completely cover the road and are very slick, and sudden gusts of wind tearing down through low spots that cause unwanted lane changes. A hazard or two not terribly typical are related to the strip mining operation in the southern part of the ride. 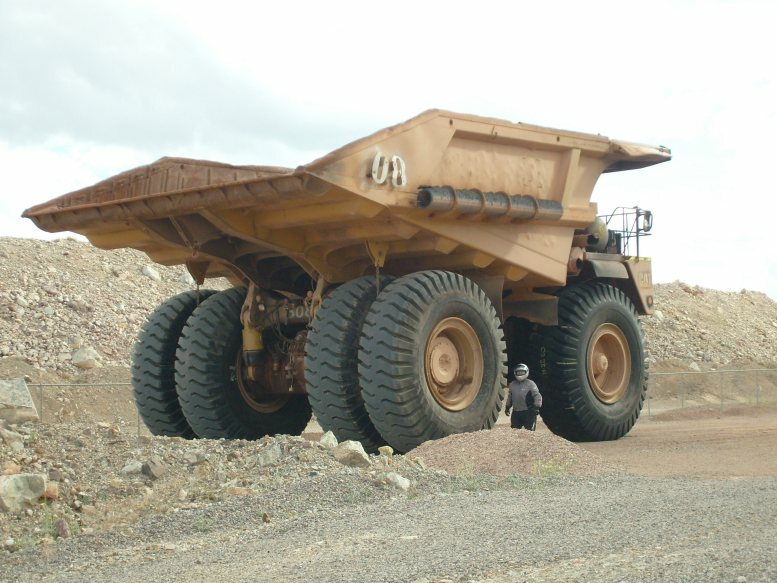 You may have to share the road with trucks having tires 10 to 12 feet in diameter or find large areas covered in spillage of sand, gravel, dirt or mud from those same trucks. 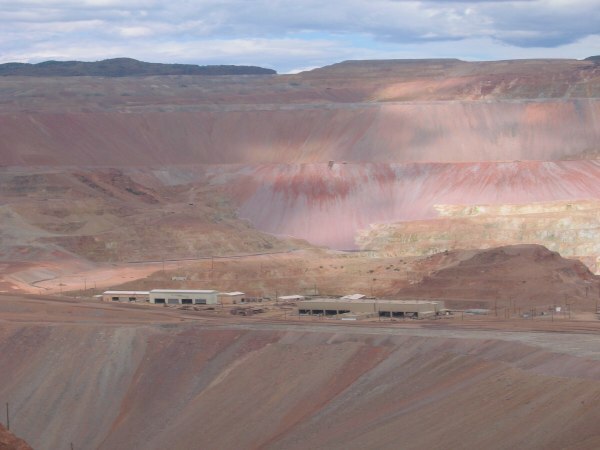 Occasionally you may even feel a tremor or two from blasting operations going on above the roadway. 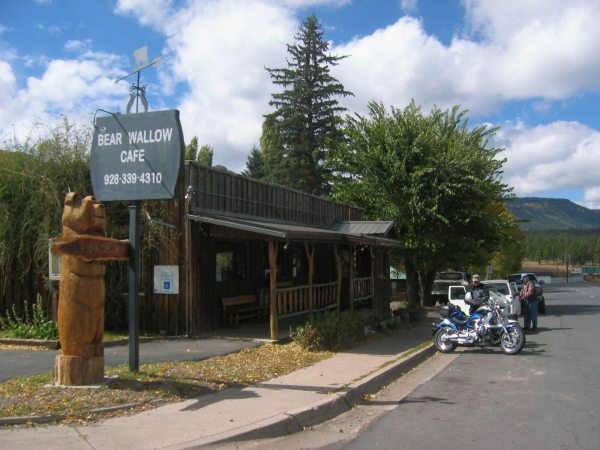 Naturally, I have to include a favorite place to eat on each route, and the one I like best here is the Bear Wallow Café in Alpine. They fix great burgers & fries and have a pretty strong policy against cell phones being on in the dining area; I love it! 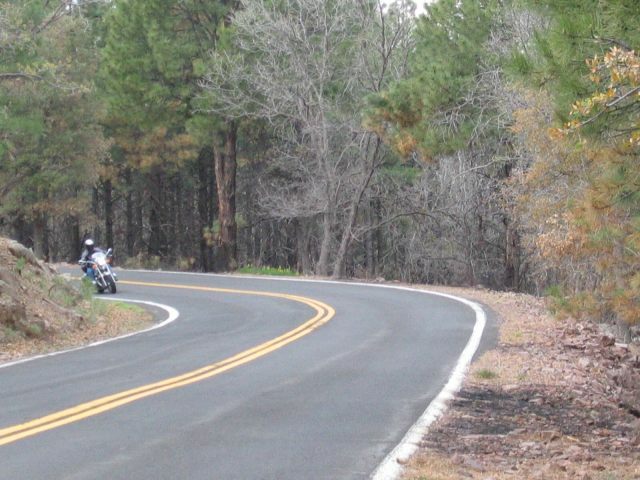 Whatever your style, choice of bike or time of year, the ~90 miles from Morenci to Alpine is somewhere around 530 curves of pure fun and beauty just begging to be repeated. 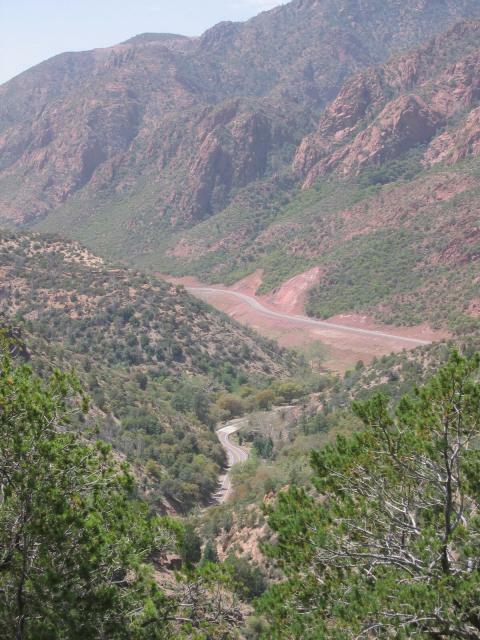 Summer is the best time for the actual Devil’s Highway portion of the ride, but it is really hot at the southern end (Clifton and Morenci). Spring and Fall are great. 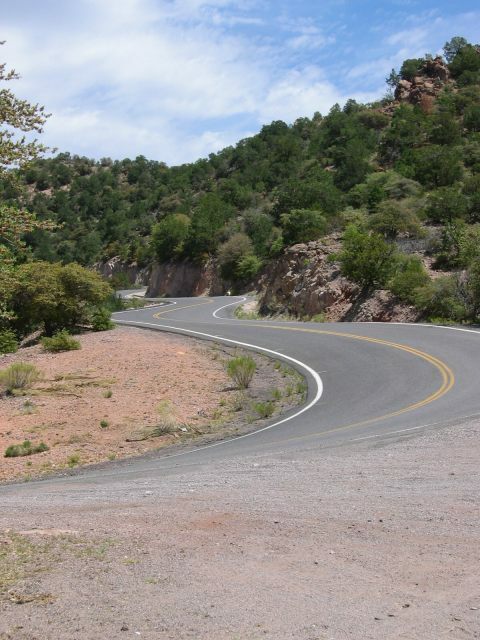 Sport bikes will enjoy either direction, but cruisers generally prefer South-to-North because of the steep, sharp turns heading down into Morenci. Cruisers usually combine this with NM-180 to create a loop. Hannagan Meadow is always worth a stop as well. BTW, It is most commonly referred to as 191, not 491 as previously posted. Highway 666 designation (6th spur off Highway 66) was ended decades ago, but the locals still use it to help promote tourism. Yeah, I’m still not clear on why Wikipedia used the 491 designation. When I Googled 191, that was one of the links I found and decided to use here. Like I stated, I’m no expert on the road and took Wikipedia info at face value. I too, had always know the road as either 191 or 666. Regardless of the name/s, it is one fun ride. I rode this North to South during a cross country road trip from MI to CA and back. It was definitely a highlight of the trip.